Towards a Market Economy Free from Crises! Chancellor Angela Merkel confronts growing criticism for her one-sided emphasis on cutting expenditures of the state as a recipe for the troubled situation in Greece and other Southern countries of the Euro-zone. The most successful blogger in France on contemporary economic processes, Paul Jorion, called her fiscal pact, vulgo “debt brake” a “blague de potache” or “schoolboy prank” (and here again in German) and the Nobel laureate Joseph Stiglitz calls it suicidal for Europe. By the way, Mrs Merkel here also follows her mentor, the former Chancellor Helmut Kohl, who expressed his basic understanding of economics with words like: “What is right for an individual household, can not be wrong for the state’s budget.” Of course, he is right, this is pretty well applicable to the state’s administration and to any individual business, but it cannot serve as a guideline when facing the complex interplay in a national economy with millions of individual enterprises and households. This requires a more profound knowledge of how to harmonize the millionfold different wishes and aspirations on a basis of fairness and justice. But as a business economist doesn’t see the forest because of the many trees, the national economist sees the forest but cannot distinguish individual trees. They are living on different planets. 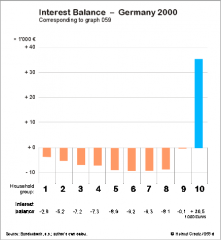 Dirk Müller, an investment consultant and stock broker, managed to break a taboo in the public discussion in Germany by introducing the problem of compound interest in mainstream media. He gives a neat explanation why the restricted view of a Swabian housewife, i.e. the managerial-economics of entrepreneurs, of the state or any other individual participant in the economy, cannot account for macroeconomic interrelations. He points at the total indebtedness and its root cause in national economies. The trouble is, that debtors, who manage to repay their loans, repay it to the bank where they got it from. The banks in turn credit the repayment plus interest to the accounts of the owners. Multi-millionaires and billionaires, even if they wanted to use their money for consumption, would simply be unable to spend it all. Thus, the monetary assets remain in the system and the banks have to find new debtors who are creditworthy enough to earn the interest, which the banks owe to the owners of monetary assets. In the long run, this becomes more and more difficult as monetary assets and the respective debts grow. Therefore, the banks increasingly turned to speculation in order to gain the necessary means for servicing the monetary assets. For that purpose they have also invented obscure new financial instruments. To put it short: the total indebtedness remains in the system and increases, regardless of individual debtors repaying their debt. Banks which suffered from losses in speculation, called for bailouts only in order to maintain liability towards their obligees. The following graph is taken from The Money Syndrome. The figures here are a bit more accurate than the ones Dirk gave in his talk. The orange column represents the average annual income of an employee or household, while the greenish column represents the per capita share of the total indebtedness. In the fifties an average citizen had to pay 6% for interest in prices and taxes and for private loans. This share of his income went on top of the monetary assets of some creditors. And at the same time it increased the total of indebtedness, because the banks which collected these interest payments had to find new creditworthy debtors. In the mid-seventies the debt share had already doubled and so did the interest burden which then amounted to 13% of an average household income. In 2000 the interest share doubled again to 28% and today the share amounts to over 40%. 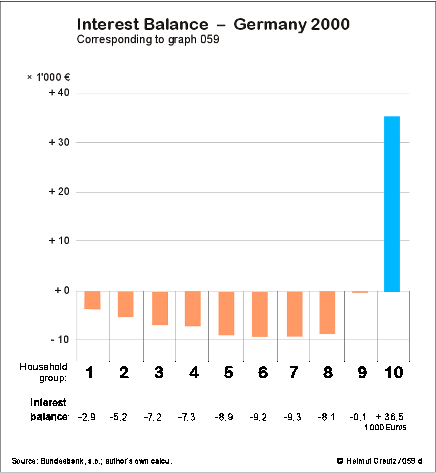 Note, that all interest payments only increase the indebtedness which again leads to an increase of interest demands. This happens with accelerated speed. It’s a vicious circle, which finally and inexorably leads to a collapse of the whole system. Ask the economic experts what this system is good for! And the Swabian housewife may “wisely reign in the domestic circle” but she doesn’t know what’s going on outside and how her inside reign is getting affected despite her diligent care. In the following video Dirk Müller points at another important factor, which the Euro doesn’t account for and more or less cripples the members of the Euro-zone because of a basic flaw in the Euro system. It is a fact, that nations dispose of different economic capacities. The reasons for that are manifold. It depends on disposable resources, developed infrastructure, communication and traffic facilities, efficient administration, skilled craftsmen, social structure, education, culture a.s.o. Such differences cannot only be observed between nations, but also in various regions within a nation. Germany for instance is a federation of 16 states. Dirk Müller’s example referred to the difference between the poor Saarland and the rich Baden-Württemberg. In larger states like Bavaria such a difference can also be observed between the poorer North and the richer South of Bavaria. The established practice to deal with these differences is a transfer of payment from the richer states to the poorer ones. This is feasible because these more or less autonomous 16 states are politically united and the differences are bearable. And yet, these transfers are a constant source of conflicts between states, which have to be negotiated once and again to find a compromise. Just recently the chief minister of Bavaria moaned about “too high” transfer payments to other states. The effect of these transfers is quite similar to the effect of development aid to Third World countries, where these financial infusions create a dependency on the helper and often keep them in a persistent state of vegetating and doesn’t allow them to achieve real autonomy. Besides, the existing money system has a strong tendency to concentrate in hotspots and the subsidies soon flow off again to those concentration spots – via industrial conglomerates, large international corporations, international trade chains a.s.o. Countries, which have to deal with this predicament again and again, are often referred to as a bottomless pit. Particularly rural areas everywhere in the world are suffering from money drainage, which commonly is blamed upon “globalisation”. But that’s a misunderstanding. The world’s money system is outdated. It was devised at a time when our ancestors wanted to explore and conquer a world, the size and extension of which they had no idea. The age-old core of the money system remained unchanged, although we know the limits of our world today. We have to acknowledge these limits in order to get beyond them and find a sustainable way of life. This is impossible with an obsolete money system and a stubborn belief that this system could go on for ever. Marek Belka, the Governor of the Polish Central Bank just recently came up with a proposal for Greece’s dilemma (Financial Times Germany). Greece’s problem with the Euro is: it cannot be adjusted to its economic capacity, i.e. devaluated. He therefore suggests a dual currency system for Greece: the savings of citizens would be deposited in banks with the stable Euro, while the internal currency, issued by the state, would be used in the real economy. Wages and salaries would then be paid with a heavily devaluated special “Euro”(?). The proposal of Chief Macroeconomist Thomas Mayer of the Deutsche Bank (in English). goes in a similar direction: a heavily devaluated parallel currency (“Geuro”) as a temporary measure. These two proposals and some others imply, that, after a transitory period, Greece could go back to “normal”, resume the Euro and the compound interest system… and everything would be fine then? Greece may be blamed for a chaotic administration of its economy, but it is not responsible for the weak design of the Euro system, which can not integrate heterogeneous economies unless they converge in a set of economic parameters. It is designed for a homogenous economy and may well serve for a country like Germany, but it cannot account for the special features of a multitude of European economies. Even the Deutschmark could not account for the different conditions in all regions and required transfer payments from the stronger parts to the weaker ones. Germany’s “transfer union” is a patchwork solution and cannot serve as a model on a European level, because the differences between nations are much greater. Christian Gelleri and Thomas Mayer are the initiators of the “Chiemgauer” (please note: the Chief Macroeconomist of the Deutsche Bank and the “Chiemgauer” initiator Thomas Mayer incidentally share the same name but not the same identity), a regional currency in Southern Bavaria. It was founded in 2003 and so far it’s the most successful Regio project in Germany, which will celebrate its tenth anniversary in 2013. The initiators submitted a proposal that could not only Greece’s economy get back to work, but could be a first step to overcome the outdated money system and open the perspective of an economic order that meets the needs of today and a long future. They have elaborated their proposal in a working paper which can be downloaded as a PDF-file in English, German, French, Portuguese and last not least in Greek from Eurorettung.org (translations in more languages are planned). The original idea of the Regio was to strengthen the regional economy and to protect it against the drainage of Euros. The Chiemgauer is therefore endowed with a circulation incentive as most other Regio initiatives in Germany which keeps it running and sustains the robustness of the regional economy. The Regios are devised as complementary currencies which do not aim at replacing the Euro, but as an additional instrument which allows more autonomy to homogeneous regions. These homogeneous regions may be of different size, roughly speaking within a range of 3 to 15 million or so households. As a complementary currency Regios could everywhere in Europe (or the world) enhance the autonomy and robustness of the respective region. And a Europe of economically robust regions would result in a robust European economy. By no means should the Euro be abandoned! No one in the Euro-zone wants to get rid of the advantages it offers, the Greeks don’t want it and no one else. Currently, the Euro has dramatically lost attractivity and at present no one would like to join the Euro-zone. The Euro system might regain attractivity, if it opened perspectives for overcoming an outdated currency design. Provided the Regio idea spreads all over Europe, the Euro might become the roof over all these currency regions. The Euro would then become a stable supranational or rather supraregional currency unit defined as a standard of reference. John Maynard Keynes submitted such a proposal for an international clearing union at the legendary international conference in Bretton Woods 1944. It was turned down, though, by the US-American White plan, which favoured the US Dollar as an international key or reference currency. But a national currency is not a good idea for a reference currency. In a way it was advantageous for the USA, if a huge foreign trade deficit can be called an advantage. 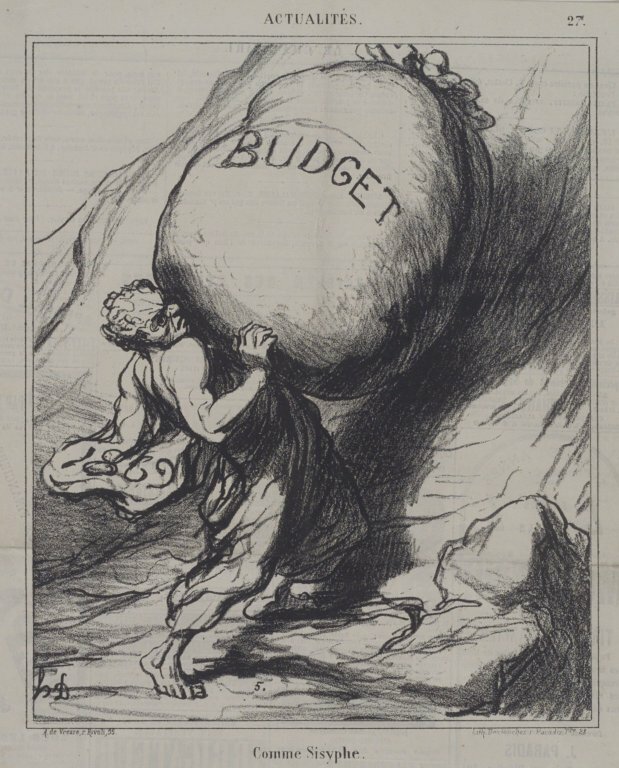 Keynes devised the “Bancor” as a supranational currency and one of its major tasks should have been to watch the trade balance between nations and, if necessary, to impose pressure on those whose foreign trade accounts are seriously imbalanced or for too long a time. The advantage of a supraregional currency unit is, that imbalances don’t have to be cleared (although it is possible) on a bilateral basis between peer regions but only between each member with the clearing union. Some of the tasks Keynes had described for the international clearing union, have been realised by the IMF. If the Euro assumed the role of a reference currency, then each member region would have a suitable exchange rate to the Euro. In the case of changing economic conditions, the exchange rate of the Regio could easily be adjusted accordingly, while the Euro remained stable. This would give the regions a cushion, a certain flexibility and they wouldn’t be compelled to comply with an externally predetermined economic standard of performance. Enterprises which export their products to other regions and travelers through Europe could use the Euro as a means of payment as they do today without having to worry about regional exchange rates. Economics is not a natural science, but is usually understood as a part of social sciences. Although social sciences focus on different phenomena or take a different point of view, they also have to account for relevant natural laws and cannot simply ignore them. An apt metaphor for the complex economic processes in a live community might be the metabolism of living beings. Metabolism describes the biochemical changes of matter for building the body’s own components, for gaining thermal and kinetic energy, for abandoning faecal matter and by coordinating these cyclic processes through information feedback via the nervous system. Economy might be seen as an extension of individual metabolism to regional, national or even global size, the possible performance of which surpasses the capacity of an individual. Alas, today’s economic science cannot provide a basis for the organisation of a sound economy. A conspicuous example for the incompetence of economics is the LTCM (Long-Term Capital Management), founded in 1994. The hedge fund worked with theories that were elaborated by two professors, Robert C. Merton and Myron Scholes, who received the Nobel Prize 1997 “… for a new method to determine the value of derivatives.” In its heydays the hedge fund commanded more than 100 billion USD in assets and showed a return on investments of over 40%(!) per annum. Then the Russian Financial Crisis occurred, and Russian Government Bonds, which the LTCM held as security, lost their value. At the end of 1998, the Fed organised a bailout with a number of business partners of LTCM in order to avoid a wider collapse of financial institutions in the US and beyond. Some time later the French Nobel laureate Maurice Allais was asked, what was going wrong, where had Merton and Scholes made a mistake in their calculations? And Allais answered: “The mathematic equations were perfect, there was no mistake. Reality was wrong!” Note the irony in the statement: reality should submit to economists’ fancies? The information of money at the moment of issuance is in direct contradistinction to the money that is circulating in the realm of real economy. Someone who accepts money for a work done is then entitled to claim equivalent goods or services that are offered in the market. This is the comprehensible information of money circulating in the real economy and it is maintained at every change of hands. However, the circulating money, too, does not account for the loss in the market, as long as it is held idle. This is where thermodynamics comes into play to compensate for this loss and keep the economy running. Thermodynamics is a special branch of physics. Historically, it emerged in the beginning of the 19th century as a new approach to deal with energy conditions, transformation from one kind of energy to another or changes of energy states. At the beginning of the 20th century it gained increased relevance in fundamental scientific research, quantum physics, chemistry and biology. Entropy is also applied in information theory and social sciences. Silvio Gesell, Rudolf Steiner and J.M. Keynes probably had not studied thermodynamics, but they must have had an intuitive insight when talking about “rusting money” (Gesell), “ageing money” (Steiner) or “demurrage fee on liquidity” (Keynes). The circulation incentive in today’s regional currencies accounts for a natural law described in thermodynamics and could therefore become a feasible and smooth transition from an outdated money system to one that can really meet the global challenge. A more detailed explanation of the 2nd Law of Thermodynamics and its application in economics would go beyond the scope of this article. But it will come in one of the next articles. There is a tale in Greek mythology about the daughter of a Phoenician king who was seduced by Zeus in the disguise of a bull. Her name was Europa. A whole continent inherited this name. Yet this is just a symbol for the rich heritage of arts, science, philosophy, drama, which shaped the culture of this continent from its cradle onwards. More than 2500 years ago the Greeks invented the phonetic alphabet, from which the Latin and Cyrillic letters were derived. At around that time a cultural revolution happened, which is associated with the names of outstanding personalities still well known: Pythagoras, Euclid, Archimedes for mathematics and natural science, Socrates, Plato, Aristotle for philosophy, in order to mention just a few examples. The Greek dramas dealt with themes of universal relevance and are still an inspiration in our time. The theme of Sophokles’ “Antigone”, for instance, is the conflict between the law of a ruler and individual human dignity and conscience. Another of his dramas is the famous “Oedipus”, which deals with the seemingly inescapable consequences of a self-fulfilling prophecy. The modern French multi-talent Jean Cocteau elaborated this theme in his adaptation of the Oedipus saga and gave it the title “La machine infernale” (The Infernal Machine). And last but not least, the ideas for the shaping of a peaceful human society – democracy – originated in ancient Greece. The contribution of Greece’s most excellent minds to the making of this continent and their influence far beyond cannot be over-estimated. And there can be no doubt that Greece is an indispensable part of Europe. Although this is quite a funny dialogue, one’s laughter might get stuck in the throat by the end. The crucial question in this video was: how do broke economies get the money for the bailout of other broke economies? And there was no answer to this question. Are all European states broke? How about Germany, which has taken the lead in negotiating the Greek problem within the triad involved: the European Central Bank, International Monetary Fund and European Commission? After all, Germany is still enjoying an AAA from rating agencies. Can this be called a broke economy? Well, we have to differentiate between the real economy and the state represented by its administration. The rating agencies evaluate only financial instruments like treasury bonds issued by the state. In the case of these treasury bonds (a rather euphemistic term, more appropriate would be: debenture bond) the condition of the real economy plays a role in rating, too. At the moment Germany’s economy booms, the state will collect high tax revenues and is therefore deemed capable of servicing its debts. That seemingly justifies a triple A rating. The thing looks different if we consider the stock of debts. 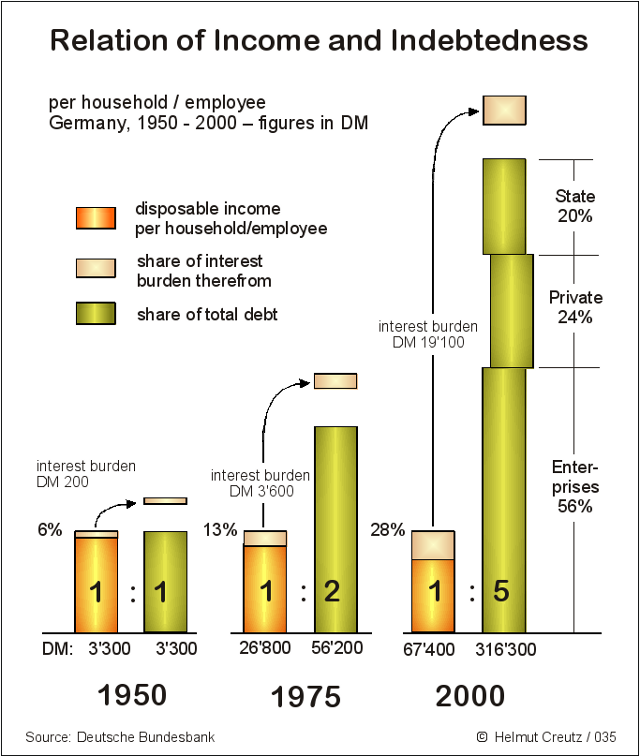 Within 60 years the German state has been piling up debts amounting to 2 trillion or 2,000 billion euros. The servicing of these debts, i.e. interest payments, swallows about one fourth of the annual federal tax revenues. It’s the second largest item in the budget, tendency rising. A few months ago – the state’s debts amounted to 1.8 trillion euros – I have then tried to find out how long it would take and how much it would have to pay, in case Germany would seriously consider to get rid of its debts. I applied the annuity calculation at a fixed repayment rate. The monthly amount for servicing the debts is 4.5 billion euros at an assumed interest rate of 3% (actually it is 3.4%). Since this amount only services the debts, the monthly rate must be higher if the debt is to be reduced, let’s say, 4.6 billion euros. It would then take 125 years to clear the debts and the repaid amount would be about 3.5 times as large as the actual debt sum. Until today the tax-payer was not charged with the servicing costs, because the state made its payments by taking on new debts. That’s how the indebtedness has accrued during the past 6 decades. But this time the tax-payer would have to be directly charged with additional 4.6 bn. per month apart from the normal tax load. Alas, in the meantime the monthly rate for merely servicing the debts has gone up to 5.7 bn. And the state is taking on new loans in order to hide the fact, that it is bankrupt since decades and to make the tax-payer feel as if everything was fine. Over-indebtedness is a worldwide phenomenon, virtually all states are suffering from this predicament. And even though governments know that this problem has to be solved, no one has a solid plan for getting rid of debts much less is anything effectively done about it. A similar predicament arises from the same structural mismanagement in nuclear power plants. Since 30 years they are producing thousands of tons of radioactive waste without having solid plans for its treatment. And while a sensible solution for the problem is postponed and postponed and postponed the piles of radioactive waste are growing bigger and bigger and increase the danger of accidental or deliberate (e.g. by terrorists) pollution. The same structural pattern of behaviour applies to the financial sector of national economies. The mechanism for the accelerated growth of indebtedness and corresponding monetary assets – a veritable infernal machine – is described in full detail in “The Money Syndrome” by Helmut Creutz. Now, Wolfgang Schäuble, Germany’s Minister of Finance, tries to involve private creditors for tinkering an emergency parachute (“Rettungsschirm”*) for Greece. At first glance it seems a sound idea to have creditors waive a part of their claims. After all, some of these creditors have made good profits at the cost of the Greek state. The trouble is, they can’t be made to do so, because there is no law to compel them. They can only be asked to give some of their profits back on a voluntary basis. So, who should ask the creditors and who of the creditors should be asked? Private banks may be among the profiteers, but their main task is to administer the funds of their clients and to play a role as mediators between creditors and debtors. They are obliged to their clients, in particular to the creditors. But they know who the big winners are and they could ask them. Would they? I don’t know, but let’s have a look where the big winners could be found. Firstly, in contrast to a widespread misconception, we must understand that as consumers we all pay interest even though we have not taken a loan at all. Loans are an important tool for investment and for overcoming temporary liquidity shortages in the economy. The state is not the only debtor in the economy but the largest debtor and the only one who pays interest by taking on new debts and ne­ver repays its debt. Private entrepreneurs repay their debts and calculate all arising expenses into the price for their produce including accruing interest. Therefore all consumer prices contain an interest share that may vary within a broad range between 10 to 70 per cent depending on the amount of capital employed for production. On average today’s consumer prices include an interest share of at least 40 per cent. The following graph is taken from the book “The Money Syndrome“. 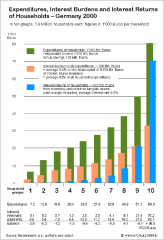 It shows the market participants divided into 10 groups according to their disposable income and the amount they are using for consumption per year (the green columns). The orange columns indicate the interest payments hidden in consumer prices and the blue columns show average interest returns that the members of the respective groups receive from owning an interest bearing asset. The following graph is an extraction of the above figure and shows the balance of interest payments and interest yields. The balance of group 9 is almost even. The members of this group own interest bearing assets worth at least 450,000 euros, which yield as much interest returns as they pay while annually spending 50,000 euros for consumption. All lower groups have smaller assets the returns from which don’t suffice to compensate for the losses in consumption. Therefore, their balance is negative. Only group 10 has a positive balance and collects what the majority of market participants (groups 1 to 9) lose in this game. The growing gap between rich and poor is often referred to in the public discussion, but no one ever asks how it is caused. At any rate, primarily the creditors in group 10 should be asked to contribute to the emergency parachute for Greece, because they are the winners in the game. I found at least the statement of a well-known German banker, Josef Ackermann, chairman of the board of the Deutsche Bank. In an interview with the Frankfurter Allgemeine Zeitung (FAZ, June 30, 2009) he made a statement, which may give a hint as to the direction in which to look for a better system. FAZ: These theories make a bet without considering time, so to speak. Ackermann: If processes are considered in time – e.g. money can be spent only after being earned -, this leads to different conclusions. Then money and the creation of money play a central role. Until today this has been neglected in conventional models. Not at last the current financial crisis has shown, that the effects of the money sphere on the real economy are still insufficiently investigated. Hans Eichel, a former Minister of Finance in Germany, was once asked by a pupil: „How does money come into existence?“ His concise answer is in perfect accordance with the established practice: „We borrow money from ourselves and we pay it back to ourselves.“ This doesn’t really answer the question, though, because the one, from whom I borrow money, should have it already, otherwise borrowing would be futile. So, where does money really come from? The established conception of money rests upon the belief, that the market participants of a national economy have a potential to create values out of nothing by performing labour. That’s the state’s treasure. In order to excavate this treasure, the state issues “treasury bonds”, whereupon the central bank issues money, which starts and supports the economic process, i.e. the seizure of the treasure. However, treasury bonds of the state are only backed by a promise for future actualization. While the market participants incessantly create values and sustain the economic process, the state (i.e. its administration) goes on issuing promise after promise and fails to fulfil its promises until it finally loses trustworthiness and goes bankrupt. Usually, the state is blamed then of having lived beyond its means. But that’s not true, the normal citizens are not to be blamed for the bad job of their repre­sentatives, the politicians. This is what happened in Greece now. In this respect Greece’s economic fate maybe considered as an omen and sooner or later all states which are based on this monetary conception, i.e. virtually all states of the world, are going to run into the same trap. Ben Bernanke might be right. But it’s not Greece which causes a disaster of such a dimension. Instead, a tremendous worldwide tension has built up from the inherent systemic flaw of the system as never before in history, which only needs to be triggered by a butterfly’s flap in order to crash. 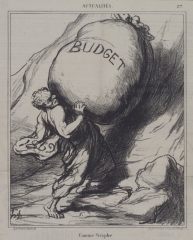 Let’s have a closer look now at Ackermann’s suggested alternative: “money can be spent only after being earned”. This is fully compliant with the everyday experience of the vast majority of market participants, who accept money as remuneration for accomplished work, which in turn entitles them to purchase equivalent services or goods that are offered in the market. The conception does away with promises, it has nothing to do with credit or debenture bonds, but acknowledges and documents what actually exists, here and now. And Eichel’s answer to the pupil’s question would sound quite differently, too: “We acknowledge each other’s performances, document them with the useful tool called money and exchange goods and services with it.” This ties money to actual processes, while Eichel’s original answer is a circular argument which ignores any link to the real economy. In contrast to the established practice where money is “backed” by debts, money would then be backed by actual goods and services that are offered in the market for sale. Ackermann’s complaint about neglected investigations into the impact of the financial sphere on the real economy concerns the credit and interest system. In a situation, when the economy is in a boom cycle, banks generously grant credits to companies and consumers, because it’s quite likely that credits get repaid inclusive interest payments, although in such a situation the demand for credits is lower. But the granting of credits and engaging in investments is their main business and of course they are trying to partake in the situation. In bust cycles, however, banks become parsimonious and meticulously investigate the applicants’ ability to repay. The banks’ behaviour is pro-cyclic, i.e. they support a booming economy and they obstruct it in a bust cycle. This is not in favour of a sustainable economy and has a lot to do with the interest system and also with the state’s indebtedness. Interest has to be paid, no matter in what a condition the economy is. After all, this is the law and it’s a man-made law. And interest rates are always positive, even if the economy cannot earn enough to pay for them. Therefore, in a recession, the state is required to take over the idle capital by taking on debts in order to boost the economy. After all, the state enjoys a high degree of creditworthiness and is (was) deemed unable to go bankrupt. This keeps interest rates in a positive range, even though and particularly in a saturated economy they should be allowed to decline in market conformity to zero or temporarily even below zero. Thus, the state itself gets under pressure for increasingly being unable in the long run to reduce its debts in an orderly way. A state at the brim of insolvency like Greece, being classified as C by rating agencies would have to pay interest at an usurious rate of around 20% which would eventually destroy not only the state but the economy as well. This is the special feature of our established capitalist system, which Heiner Geißler, social politician of the Christian Democrats, has concisely characterized: “Capitalism is theft endorsed by the state.” His associate of the CDU, Angela Merkel, in negotiating the “emergency parachute” for Greece and possible other members of the EU with experts of the IMF, ECB and European Commission, did so with the declared intent to go to the roots of the problem. That was a slightly immoderate statement, though, considering the outcome of these negotiations. The “emergency parachute” or by its official term “European Financial Stability Facility (EFSF)” is still far away from the roots of the problem. Thorough investigations into the impact of the financial sphere on the real economy are still badly needed and long overdue. I know. But who would listen to her and give birth to an insight? The UK Edition of “The Money Syndrome” is out! What do readers learn in The Money Syndrome that they do not read in standard economics books? 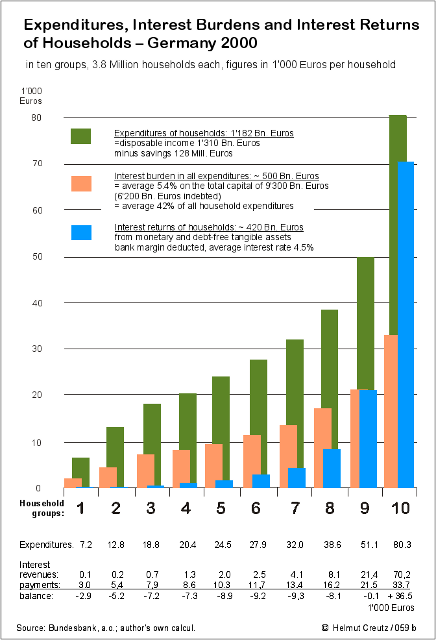 Financial assets accumulate exponentially as a consequence of the compound interest effect. The indebtedness of private and public households and the economy must grow correspondingly, as financial assets must flow back into the economy as credit. Interest flows grow similarly in the course of escalating financial asset and debt accumulation. However, financial assets are unequally distributed. Consequently, the escalating interest flows reallocate capital from those parts of the population that pay more interest than they receive to those that receive more than they pay. The divide between the rich and poor widens. Economists and politicians only regard economic growth as a solution to prevent the divide between the rich and the poor from widening. However, given the finite resources of this planet, constant economic growth – demanding a perpetual increase of production and consumption – is ecologically unsustainable. Above all, The Money Syndrome not only provides an in-depth analysis of the negative effects of constantly positive interest rates, but also presents a solution: Stabilize the monetary flow by introducing carrying costs to money, as argued by Silvio Gesell. How did you come up with the idea of writing the The Money Syndrome? I have been active in environmental and peace initiatives since the 1970s. Back then, I was already looking for reasons why politicians and economists demand constant economic growth despite its devastating consequences. In 1980, a reader of my books gave me a hint. He claimed that underlying processes in our monetary system explain why we ‘need’ perpetual growth. Initially, I was very skeptical. However, trying to show the reader that he was mistaken, I actually discovered that plenty of statistical evidence suggested that he was right! In 1984, I published my first research results in the “Journal for Social Economy” (“Zeitschrift für Sozialökonomie“). One year later, I published a more detailed account of my findings in the article “Growth Till Self-Destruction” (“Wachstum bis zur Selbstzerstörung“). Further research and specification of my ideas led to the first edition of The Money Syndrome in Germany in 1993. Since then, the edition has been revised and translated into several different languages. The work for the French publication was finalized in 2008. What surprised you the most while researching and writing The Money Syndrome? Examining statistical series, I was very surprised about the developments in the real economy compared to the expansion of financial assets and debts. Capital and debts grow exponentially; that is, much faster than the real economy. However, this has profound social implications. You can read about that in more detail in the book. I was also very surprised that, in the standard economic textbooks I’ve read, very few economists have dealt with the topic. Actually, Keynes was the only mainstream economist I found who discussed the negative effects of our monetary and interest system in any depth. Interestingly, Keynes based his statements on findings by the economic maverick Silvio Gesell. Gesell had already written about the deficiencies of our monetary system 100 years ago! Nonetheless, university professors were not concerned with the redistribution of capital through positive interest rates. That situation has changed a little bit. For example, Professor Jürgen Kremer has recently proven my assertions with the help of long-term calculation models. What do you expect from the English edition of the book? I hope that social activists, environmentalists, and economists will gain new insights when reading the book. My work illustrates that systematic errors inherent in our monetary system prevail. These must be removed to effectively promote social justice and environmental sustainability. Next, I hope that The Money Syndrome will contribute to the discussion about ways to promote interest rates oscillating around 0%. Such a discussion was launched last year by professors such as Greg Mankiw from Harvard and Willem Buiter from the London School of Economics. In saturated economies, 0% interest rates are not only necessary to stabilize economic activity, but also to prevent a further accumulation of capital and explosion of debts due to the compound interest effect. In short, I hope that the book will help spread the knowledge about how economic stability, social justice, and peace in this world are essentially threatened by systematic errors in our monetary system. Our future survival requires that we recognize this mistake and correct it! to our homepage dedicated to the work of Helmut Creutz about the basics of our monetary system. I’m happy to announce that the English edition of THE MONEY SYNDROME is now available. The German version of this book “Das Geldsyndrom” was first published in 1993 after twelve years of research that the author Helmut Creutz had undertaken. Since then thousands of readers got acquainted with his findings and the book became an indispensable work of reference for all those, who are convinced that our economic system should be thoroughly reviewed and reformed. THE MONEY SYNDROME mainly deals with the German national economy since the end of World War II with a few side glances at other national economies. The English speaking reader might consider the emphasis on the German situation a disadvantage of the book. And yet there is another aspect which might make it worthwhile to have a closer look at Germany’s economic development. In 1948 the German economy virtually started at point zero. There was little left, that could be used as a basis for the reconstruction of the country. It was mainly based on the strong willingness of its inhabitants to get back as soon as possible to a decent and worthwhile lifestyle. The economic development went through an “economic miracle” during the 1960ies until the mid-seventies when the first signs of a saturated economy appeared. The development of Germany’s economy was straight and clear, there have been no major deviations from the capitalist way despite an accent on social market economy and it managed to become one of the leading industrial nations. The rise and fall of the German economy during the past 60 years is the textbook story of a capitalist society. The presented material in THE MONEY SYNDROME – economic figures, tables, graphs and charts – allow the distinction of the various stages a capitalist economy is going through. On the example of Germany’s economy the effects and their causes become clear, which in a less comprehensive development of other economies may not be identified as precisely as in the German example, because the various phenomena are associated with assumptions or ideological convictions that may lead astray. Today we are facing a financial crisis the dimension of which surpasses everything that has been known up to now. We are looking in the abyss of unprecedented squalor and corruption on the one side and on the other side sheer helplessness and fear. It’s time to go to the very roots of economic activity and remember what economy should actually be: a solid basis for a sound culture that respects human rights and dignity and facilitates prudent dealings with the natural environment on planet earth. The “real existing” socialism and capitalism have failed to provide this basis. THE MONEY SYNDROME offers uncountable stimulations for a genuine new thinking.